Engage the Campus is back, and we are extremely pumped about it. You do not want to miss this event. What is Engage the Campus? It is an initiative for helping churches and leaders connect to the campus; helping students have spiritual conversations with their friends. When you have spiritual conversations with your friends, those moments are a huge win! Every time you open the door to Jesus, you win. This year Engage the Campus will be hosted by New Hope Fellowship in High Ridge. 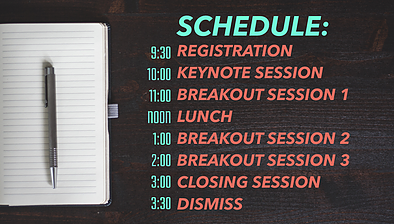 We will leave our church at 9:00 AM and the conference will last until 3:30 PM. The cost of this event is only $15, and this includes LUNCH AND A T-SHIRT, but you need to register by AUGUST 6th.